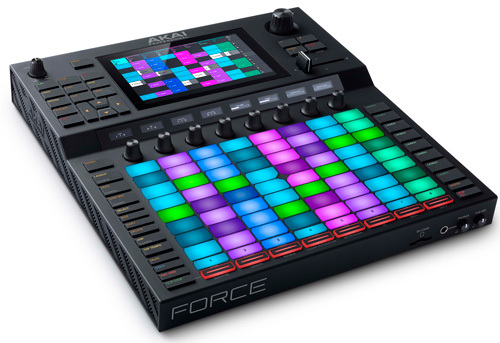 Released just in time for the 2019 NAMM Show, the new Akai Force is an incredibly powerful standalone music production workstation that brings together the best of their MPC and APC lines, plus adds new functionality for a piece that can really be the center of your musical universe. 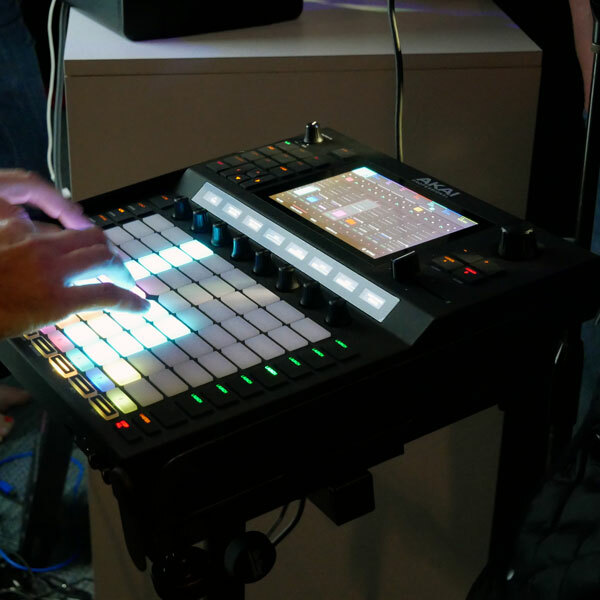 On Force’s multi-touch 7″ display, you can browse and edit samples, launch clips, dial in your synth tones and much more. The expansive 64-pad matrix is your canvas to finger-drum beats, play single-note melodies, and launch clips and scenes. With a feel that’s instantly familiar to anyone who’s used an APC, MPC or Ableton-style grid interface before, the customizable and easy-to-see LED backlighting will make your performance a breeze even in the darkest clubs. Remixes can be done on the fly on Force, and mashups are simple, as sample tuning adjustment and time-stretching can all be done right on-board. An on-board crossfader, plus mute/solo/and cue controls will turn anyone into a DJ. 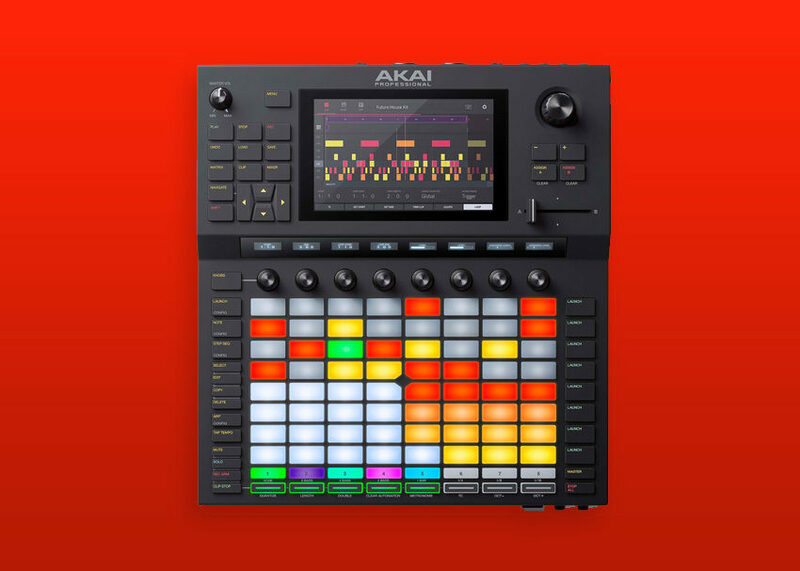 A robust I/O rear panel allows the Akai Force to be set up anywhere in your rig. With two 1/4″ / XLR inputs, four 1/4″ outputs, MIDI I/O, two USB 3.0 slots, an SD card slot, and four CV gate outputs, Force will have no problems connecting to your other electronic music gear, live PA, or just about any sample source. 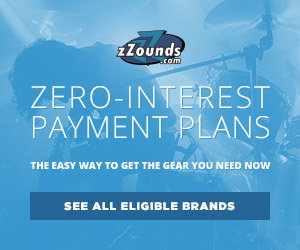 You can pre-order the Akai Force today at zZounds, and be sure to follow the blog for more news on this and other top NAMM gear! 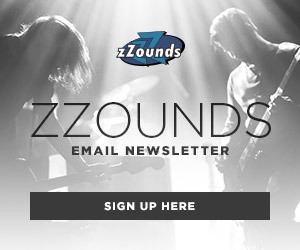 PRS' 2019 Roster Gets ExoticWill MXR Drop a Dookie at NAMM?